Bigger than expected on the inside, tidy on the outside, the 2014 Honda Pilot is a terrific all-around SUV, especially for those who don't have to tow a big trailer. It offers responsive and even agile driving characteristics, innovative features, useful technology, proven reliability and a competitive resale value. And, it has the highest fuel economy of any 8-passenger SUV. Reliable SUV with third row seating and decent price under the used category. I bought my car used and was not impressed with how short the warranty was. The reliability has been great. I have not had any engine problems or electrical problems. I have plenty of room with the third row and storage underneath. I have used it for road trips, camping, family time and it all has been great. One draw back with the material used on the interior is stains do not come out. I have spilled water on my seats and I cannot get the water ring out. I have tried many different kinds of cleaning material and nothing has worked. I love the color of the interior and exterior and the space it has in the front seat is great. The third row is quite short on any leg room. With 3 growing boys that can get a little tight. It is very hard for adults to sit in the third row. I would try to find something with bucket seats for the middle row to have a more open feeling, if desired. 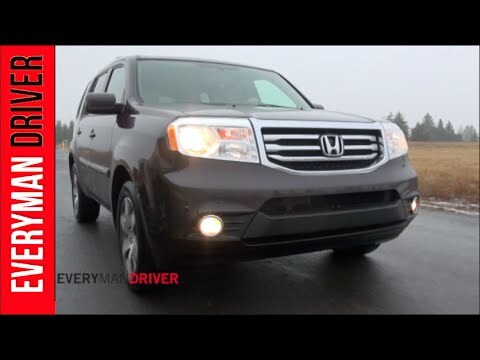 The Honda pilot is by far the best SUV available. I love my Honda pilot. It is roomy with third row seating, plenty of room in the back for packing, and a great vehicle for both local and long-distance trips. I really like the amount of space available for my family when we travel, and each row of seating has its own USB charging outlets which means no fighting over them. I also appreciate the dual front and back seat temperature controls. The pilot is also extremely comfortable to drive and handles well in all kinds of weather. I feel very safe which is very important to me. The warranty and service I have received from the Honda dealership is way above average which also gives me a sense of security in my purchase. I would definitely recommend the Honda pilot! There are no interesting details about my vehicle. It is very durable and safe. I love my Honda pilot! It is truly a great SUV. It is very secure and safe, and it is well built. I haven't had too many problems, other than my tires needing to be replaced. It was not an issue with the actual SUV. The Honda pilot is a great alternative with those who have children but do not want a minivan. The third row seating is great, but not so great for adults with long legs. When the third row seating is down, there is plenty of trunk space which is great. Another thing I have noticed about Honda pilots... You see a lot of older models on the road. Which appears to me that they are durable and long lasting.